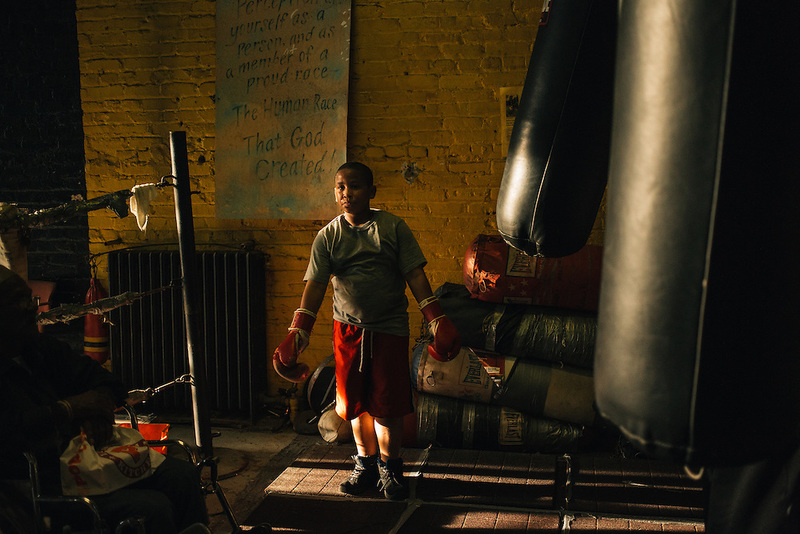 Chavez, 11, works out at Midtown Youth Academy on 14th St. NW in Washington, D.C. Midtown is a holdout among businesses in gentrifying 14th Street Corridor area of D.C. The once-thriving boxing gym and afterschool community center has been run for nearly 50 years by Eugene Hughes, one of the original Black Panthers and patriarch in the District.